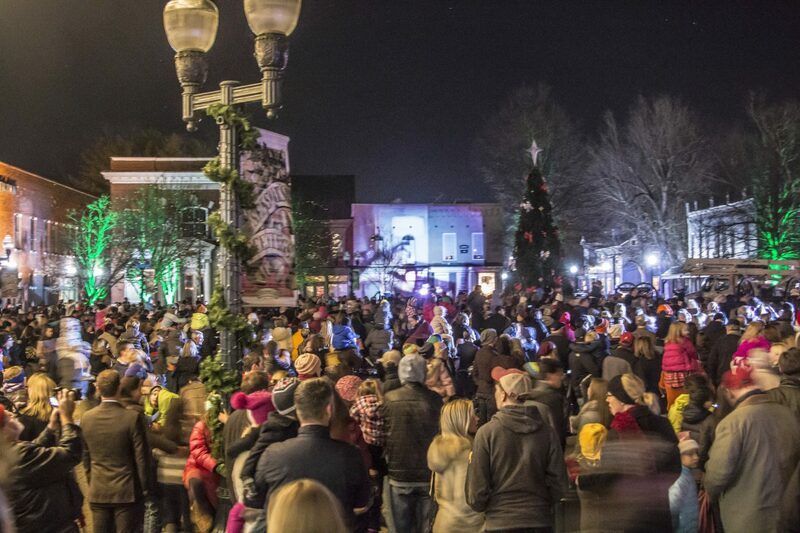 Join us for the City of Franklin’s Tree Lighting Ceremony on December 1st! Anthropologie is open until 7 p.m. and will provide Christmas cookies in the evening hours. Avec Moi will stay open late for the lighting festivities. Boudreaux Brother’s will be serving Beignet samples, as well as offering a coupon for all meals between 5 to 9 p.m. The Cellar on Main is hosting their Open House until 9 p.m.
Danita’s Children / Hope for Haiti Children’s Center is hosting their Open House from 11 a.m. to 1 p.m., and will be doing their Ribbon Cutting at 11:30 a.m.
Finnleys Good Findings will be having a “Shopping, Sipping & Wishing Night,” where customers can shop from 6 to 9 p.m. They will be doing giveaways each hour, and offering customers 15 percent off items in-store (excluding sale items) and the opportunity to add to a holiday wish list for a 10 percent discount. They will also have wine and other refreshments. Handy Hardware will be open until 9 p.m. and offering free MoonPies and hot chai tea made from a BrightStone mix from 5 to 9 p.m.
Heart and Hands is hosting their Open House from 5 to 9 p.m. They will serve refreshments and will be offering 15 percent off any purchase. They never offer sales on their handmade items, so this is special! Imago Dei & House of Belonging will stay open late. JONDIE and Mimi and Dottie will both host their Open Houses. They will offer wine, in addition to gift ideas and personalized styling services. Kelly Spalding will host their Holiday Open House from 3 to 7 p.m., and offer cocktails, food and 15% off the entire store (except for custom orders and local artists work), along with door prizes and giveaways. They will also give a special gift with purchases of $50 or more. Pieology will host their Open House and hold a contest in-store for a free pizza party, valued at $300, for 23 of the winner’s closest friends in the upstairs private room. Visit in-store during their Open House and enter their Pie-Life eclub to win! The Registry will be open late that night and will be serving wine and light refreshments. Savory Spice will be open until 8 p.m., offering complimentary mulled cider. The Shoppes on Main will host an Open House with refreshments and giveaways. Taziki’s will be giving a free appetizer with the purchase of two entrees. They will have normal hours, 11 a.m. to 9 p.m. The Visitor Center will be open until 8 p.m.
Vue Optique will be open until 6 p.m. and will serve champagne from 4 to 6 p.m.